The 4th annual Motor Finance: Europe conference and awards took place in Berlin the past 26th of April. The agenda was produced in association with Motor Finance, Leasing Life and our local knowledge partners, the Banken der Automobilwirtschaft (BDA), leveraging insight and expertise from across the industry to deliver a programme that offered the latest innovations, strategies and technologies driving the industry forward. The evening hosted a gala dinner that revealed the winners of Motor Finance 2018 awards, celebrating excellence in motor finance industry. The 4th annual Motor Finance: Europe conference and awards took place in Berlin the past 26th of April. 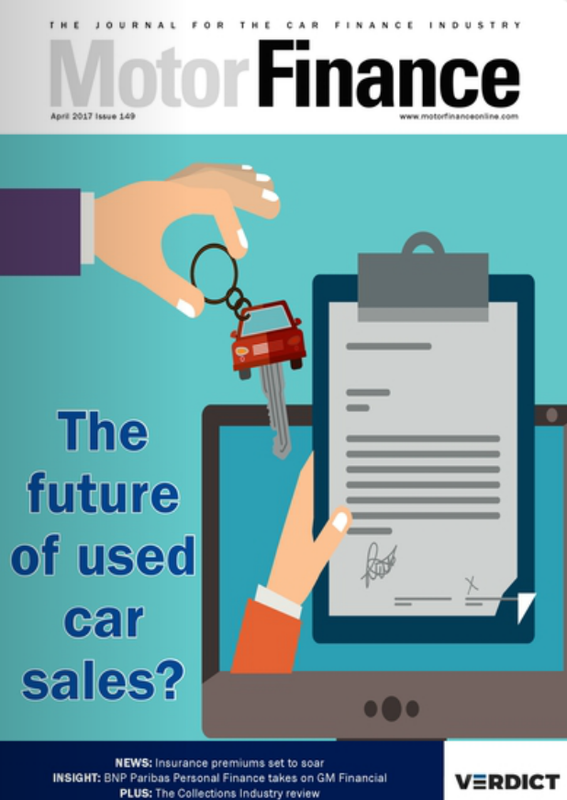 As the country where cars were invented, the ownership of a vehicle traditionally has a very high importance in Germany and therefore the market potential for automotive financing solutions is correspondingly high, especially for captives. We brought together industry experts from across Europe to examine the latest industry innovations, top contributions to the market, the effects of the access economy and mobility on the development of financing and business models, and most recently the implications of Brexit. Motor Finance: Europe’s agenda was produced in association with Motor Finance, Leasing Life and our local knowledge partners, the Banken der Automobilwirtschaft (BDA), leveraging insight and expertise from across the industry to deliver a programme that offered the latest innovations, strategies and technologies driving the industry forward. 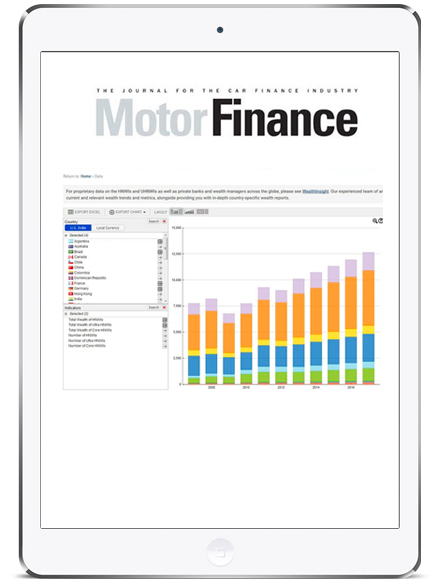 Attendees at Motor Finance: Europe included CEO’s, Chief Operating Officers, Managing Directors and Board Members from Government Agencies, Banks, Lenders, Captives, Challenger Banks, Challenge Funders, Lending Platforms and Disruptors, Fintechs, Middle market businesses, SME’s, Brokers , Advisors, Law Firms and Management Consultants. Adrian studied Linguistics and Philosophy at the University of Essex. After graduating in 1988, he held a number of key civil service and diplomatic roles, including the UKs Agriculture and Food Attaché in Brussels and policy lead at the Ministry of Agriculture, Fisheries and Food during the BSE crisis. He was Head of Policy at the Financial Ombudsman Service before joining the Finance & Leasing Association as Head of Motor Finance in February 2015. Adrian is chair of the Governing Body of St John Payne Catholic School, a successful secondary school in Chelmsford, and his personal interests include ornithology, history and travel. Paul is well-known in the automotive industry having spent over 15 years’ working on behalf of motor manufacturers, motor retailers, car finance providers and brokers. He spent the early part of his career at Vauxhall Motors and the Society of Motor Manufacturers & Traders (SMMT), before joining the Finance & Leasing Association (FLA) and establishing their motor finance membership division. In 2014, Paul joined Auto Trader plc as their Head of Motor Finance where he was responsible for introducing their suite of digital motor finance products and overseeing the firms FCA authorisation. In his current role at ContractHireAndLeasing.com, Paul manages the online marketplaces external relationships and digital product strategy. Tarun leads his own advisory practice specialising in transactional work in the lending sector. Prior to this he lead Grant Thornton’s Financial Services Corporate Finance practice with a focus on alternative and specialty lending sectors. In recent years Tarun has advised on most of the M&A transactions in the leasing and retail lending sector. 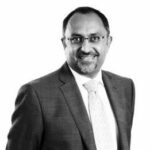 Tarun was a founding director of the Leasing Foundation, is currently a Patron of the Asset Finance Professionals Association and is a member of the Financial Services Faculty board of the Institute of Chartered Accountants in England and Wales. Rupert Pontin has been a well-respected figure in the automotive industry for more than 30 years, having worked at major blue-chip organisations including British Car Auctions, Glass’s, and now, Cazana. Throughout this time, he has gained valuable experience in the management, valuation, and strategic remarketing of new and used vehicles, working with OEMs, leasing companies, and financiers. He also has considerable experience developing and implementing commercial strategies for UK businesses, business transformation into hi tech digital businesses and played a key role in helping Glass’s revitalise its position in the UK market during two spells with the organisation. T he 2018 Motor Finance Conference & Awards took place on 26th April 2018 at the Hotel Adlon Kempinski, Berlin. The Hotel Adlon Kempinski is located in the heart of the vibrant city of Berlina and offers an extensive range of five star services to ensure your visit to Berlin is a trip to remember. From incredible city tours to luxury limousine and concierge services, they will go the extra mile to meet every one of your expectations. After his graduation in business economics and completing a doctorate at the University of Cologne Peter Renkel started his career 1985 with “Gesellschaft für Mathematik und Datenverarbeitung (GMD)“ which today is known as “Fraunhofer Gesellschaft“, one of Europe’s largest research organisations. Between 1988 and 1993 he was Coordinator of Marketing and Business Planning at Ford Motor Company in Cologne, Germany, before entering into the financial service division Ford Bank. For the following years he held various international roles within the captive bank before being appointed Director Northern Europe, Benelux und Ireland for FCE Bank. From 2003 Peter Renkel was responsible of the Customer Service Centre of Ford Bank until he became CEO of Volvo Auto Bank Germany in 2007. Since beginning of 2015 he is Managing Director of BDA Service GmbH, the managing office of the German Association of Banks and Leasing Companies of the Automotive Industry (Banken der Automobilwirtschaft, BDA). Ulrich Bergmann is a Partner at KPMG AG Wirtschaftsprüfungsgesellschaft in the Financial Services sector in Germany focusing on Captives including Automotive Finance, Leasing companies and financial institutions comprising German retail banks, major (global) banks as well as specialised commercial banks. He has more than 16 years of audit and consulting experience gained at KPMG in Germany and in the U.S. providing Ulrich with profound insight into the global financial services industry. His career with KPMG is complemented by three years of professional experience with a globally operating retail bank in Germany. Honouring his longstanding global Automotive Finance and Leasing expertise, Ulrich was appointed Global Automotive Financial Services Leader, heading KPMG’s Global Captive Peer Group, as well as Co-Leader of KPMG’s Leasing segment in Germany. Ulrich holds a Master’s degree in Business Administration and is a qualified German CPA. Georg has more than 30 years of experience shaping financial services for leading car companies on a global scale and is widely recognized as an innovative leader in auto finance. His most recent venture as Co-Founder and President of Fair, aims to bring fairness to the process of getting a car by giving customers a monthly payment range and allowing them to walk away at any time. Prior to Fair, Georg built the financial services businesses for Tesla in over 20 markets in the EU and APAC. He also served as CEO of Global Financial Services for BMW Group and was CEO of Mercedes-Benz Credit in the U.S.
A dynamic, innovative and driven automotive business professional, with an excellent track record, having a total of 24 years’ experience in the Daimler Group and the last 3 working in a Business Development role for Chrysalis Loyalty developing Global markets. His current role sees him influence business leaders to achieve best practice and optimum performance across their businesses on a global platform. Steven managed key strategic projects and contributed within a team on major projects such as Daimler’s key global SGP111 strategy project. In his current role is growing the market for Solmotive’s Key2Key Finance retention product across Europe and North America. Peter started his career with Lloyds Bank where he gained his banking qualifications. In 1978 he joined Lombard holding several senior roles including Managing Director of Jaguar Cars Finance and subsequently of PSA Finance. In 1997 Peter moved to Capital Bank Motor where he was responsible for manufacturer relationships and major accounts. He was appointed Deputy Managing Director in 2005. He was on the board of the FLA for 5 years and represented the FLA at Eurofinas. In 2009 he established his own consultancy business, Finance Torque, and this led to Peter joining one of his main clients, Startline Motor Finance, in 2015. Director and shareholder at Codeweavers, a software development house developing finance calculators, point of sale, e-retail solutions and transaction software predominantly for the automotive finance sector. Key customers include motor manufacturers, lenders, dealers and suppliers to the automotive and automotive finance sectors. After starting in the automotive finance sector with Chartered Trust in the 1990’s I have over 20 years experience in various automotive markets with Green Flag, Dent Wizard and FI Online, punctuated by an 8 year stay at Cardpoint plc, the independent ATM operator as Head of Sales and Head of Engineering before returning to the sector with Codeweavers. Eberhard Hackel is a Senior Director in Fitch Ratings’ European structured finance and covered bond group and head of the Frankfurt based structured finance team. The team is primarily dealing with ABS, RMBS and CDO transactions from Germany, Switzerland and Austria but also with Russian and other Eastern European securitisations and with covered bonds. Before joining Fitch in 2008, Eberhard worked in the risk controlling department of Landesbank Hessen-Thüringen (Helaba). 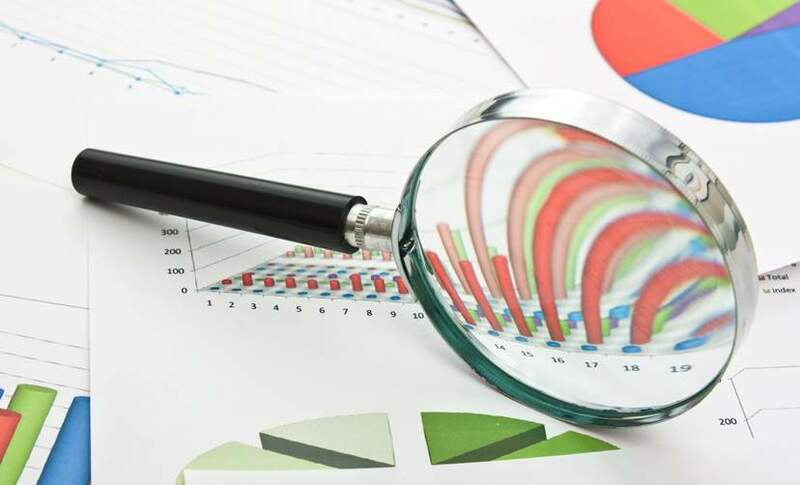 His responsibilities included measuring the Helaba group’s market risk and working with German regulators supervising Helaba’s internal market risk model. Eberhard holds a diploma in business administration from the University of Göttingen and has earned the FRM certification of the Global Association of Risk Professionals. Billing Finance is a family run business that has been putting customers first since my father started the company in 1983. After qualifying as an accountant at KPMG, I moved back to Northampton in 2004 to take over the running of the company. Since then we have been growing and specialise in the near-prime second hand vehicle market. I believe in being open and fair with our customers, staff and partners. I am married with 3 children and enjoy running and singing. Simon is a product marketer and strategist with almost 20 years’ experience working for a range of major international brands. Simon’s role is to set and deliver the company’s mid and long term strategy, overall responsibility for marketing, alongside being tasked with oversight of the roadmap for Interact (the company’s core product offering). Simon joined in 2013 from Lloyds Banking Group where he was responsible for payments and also sat on the Credit Card divisions leadership team. Prior to this he worked on the launch of a number of firsts in new technology – the Blackberry (BT Cellnet), BT Openzone (BT Retail), 3G Live! (Vodafone Australia) and Sky HD (BSKYB). Paul is Chief Marketing Officer at Free2Move Lease, PSA Groupe’s multimake operating lease activity. He overlooks products and services development, online business and is directly involved in the international development of this Business Unit that counts 400 000 vehicles in fleet. Paul has 20 years’ experience in the automotive industry that started in 1998 with the launch of the first French online car sales website. From 2011 to 2016, he was Marketing & Partnership Director within a major leasing company focusing on small business development and indirect sales. 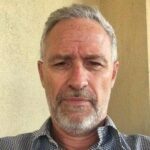 Paul has a Bachelor’s degree in online marketing and sales from Léonard de Vinci in Paris and an Advanced Master Degree in Marketing from HEC. Luke Curtis is head of MotoNovo Finance’s Commercial and SME business. Luke has played an instrumental role in the formation of this division and ensuring SME’s have straightforward access to finance. His career started at Black Horse Finance, before he worked for Barclays Asset Finance and then Close Brothers Group PLC. Having joined MotoNovo Finance in 2011, Luke now has over 17 years of industry experience and is committed to expanding commercial capabilities in the motor finance sector. A strong believer in the power of people, Spencer Halil has been part of the BMW Group Financial Services family for over a decade and has been the driving force behind significant management projects in both the UK and Australia. A committed relationship manager and strategic thinker, Spencer provides overall management accountability and direction as the Director of ALPHERA Financial Services in the UK. Under Spencer’s leadership, Alphera has grown consistently, funding £1.2 billion in car finance for the first time in 2017, a 68% increase over the previous year. Spencer has played a significant role in implementing a transformational new business model for financial services across the BMW Group, as well as setting up partnerships for Alphera with Aston Martin and Rolls Royce Motor Cars. Passionate about the importance of team working, Spencer believes the most sustainable results are achieved by creating an environment in which everyone can learn from one another and flourish. Gerry Kouris joined the BMW Group and ALPHERA Financial Services in 2015 from Fiat Industrial UK where he successfully undertook roles in sales, product marketing, dealer training and strategic joint ventures. As Marketing Manager for ALPHERA Financial Services, Gerry develops and oversees implementation of Alphera’s marketing strategy in the UK, as well as the marketing for Rolls-Royce Motor Cars Financial Services and Aston Martin Financial Services. In 2016, Gerry published a visionary thought leadership report, entitled ‘Financing the Car of the Future’, bringing together influential voices from across the motor industry, wider retail and academia. In 2018, Gerry has been working closely with the Institute for the Motor Industry (IMI) to launch the motor retail sector’s first F&I Accreditation for sales people, with the aim of supporting dealers’ FCA compliance efforts and improve customer satisfaction. Harvard-educated Kouris has a BSc from the University of London, a MSc from King’s College London and a MSc in Marketing and Strategy from the University of Warwick. Piet Maes is Co-founder and Chief Technology Officer of Sofico, he oversees the development and innovation of Sofico’s Suite of software solutions which help customers worldwide achieve their strategic goals in a changing and evolving market, where flexibility, innovation and time to market are key. Anu Sachdeva is a senior strategic and transformation leader at Genpact. She has more than 25 years of experience across various industry verticals including her previous roles with GE Capital’s Commercial Equipment Finance Business in North America and Asia. In her current role as global practice leader for Commercial Lending, she is leading the charter to drive innovation through Lean DigitalSM, Genpact’s unique approach that combines commercial banking domain expertise, design thinking, analytics, and digital technologies to improve deal conversion, drive efficiency, and enhance end customer experience. In her previous role at Genpact, she served as Global Client Partner, managing a front-end sales team responsible for identifying, negotiating, and leading multi-million dollar engagements. She is an active member in ELFA and various other industry forums. Sandra Speckbacher is Director at KPMG AG Wirtschaftsprüfungsgesellschaft in the Financial Services sector in Germany focusing on Captives including Automotive Finance and financial institutions comprising German retail banks, major (global) banks as well as specialised commercial banks. She has more than 16 years of consulting experience in financial institutions gained at KPMG complemented by three years of professional experience with a globally operating retail bank in Germany. Sandra is providing consulting services on national and international projects within Automotive Financial Services and leading projects focussing on strategic advice, risk management and reporting, regulatory and compliance, organisation and processes as well as project- and programme management. 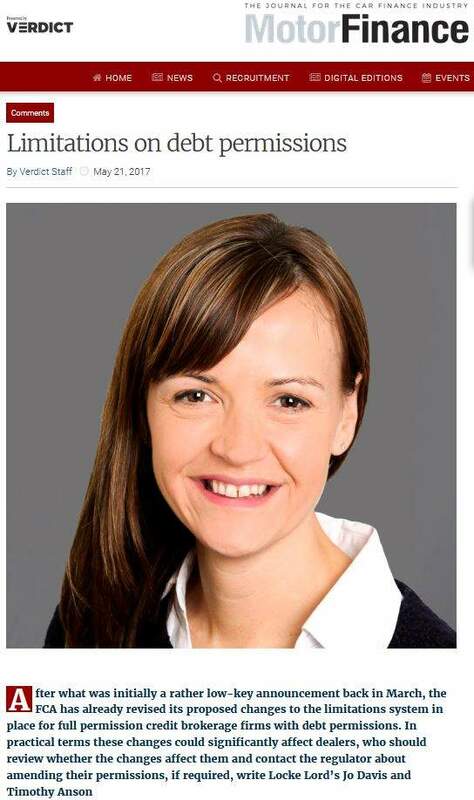 Sandra is Global Automotive Financial Services Co-Leader, co-heading KPMG’s Global Captive Peer Group and is part of the Regulatory leadership team at KPMG in Germany. Sandra holds a Master’s degree in Business Administration having majored in banking. James Tew has worked in the UK and European motor industry sector for more than 25 years, progressing through a variety of senior roles. Since 2010, he has been CEO at iVendi, and in the last eight years, the company has grown to work with more than 7,500 dealers from its offices in Colwyn Bay and Manchester, offering a range of products that, together, deliver a complete online motor retail journey. James has been instrumental in providing the vision, the tools and the drive to help not just dealers but also manufacturers, finance providers and car portals to adopt a new generation of customer-centric, results-driven motor industry technology. Michiel Waardenburg is product manager at Sopra Banking Software. In his role he is responsible for the vision and strategic direction of the offering in finance of Sopra Banking Software. As a consultant he had key positions at several banks, financial institutions, and governments in developing and executing transformation strategies for business and IT. In the beginning of the ‘90’s he wrote his engineering thesis on mobility brokerage, a new business model that would emerge because of new technologies and the need to offer an alternative for car ownership. Jörg Ziesche is working for Opel Vauxhall Finance and is responsible for digital transformation activities. He started 2014 at Opel Bank and developed and launched the Opel online bank offering deposit products to retail customers. Before he joined Opel Bank he worked as Director Internet/Mobile at ING-DiBa AG, Germany’s largest direct bank and was responsible for digital services. Earlier he served as Director Products and Marketing for a mobile payment company founded by Deutsche Bank AG serving mobile and e-commerce customers. He has also some entrepreneurial background, e.g. founding Germany’s first e-mail-newspaper or co-founding a company data provider. Alfa is a global supplier of asset and motor finance software and consultancy services, with an exceptional project delivery record. Alfa Systems, our class-leading software solution, delivers proven functionality using the latest technology standards. Delivered using a robust project implementation methodology, Alfa Systems is used by leading asset finance businesses for full-lifecycle management of portfolios ranging from the most complex structured loans to high-volume flow transactions, in any country, language and currency. Alfa has offices all over Europe, Asia-Pacific and the United States. For more information, visit alfasystems.com. Intelligent Environments is an international provider of innovative financial services technology. Our mission is to enable our clients to deliver a simple, secure and effortless digital customer experience. We do this through Interact®, our digital financial services platform, which enables secure customer acquisition, onboarding, engagement, transactions and servicing across any digital channel and device. Today these are predominantly focused on smartphones, PCs and tablets. However Interact® will support other devices, if and when they become mainstream. We provide a more viable option to internally developed technology, enabling our clients with a fast route to market whilst providing the expertise to manage the complexity of multiple channels, devices and operating systems. Interact® is a continuously evolving digital customer engagement platform that ensures our clients keep pace with the fast moving digital landscape. We are immensely proud of our achievements, in relation to our innovation, our thought leadership, our industrywide recognition, our demonstrable product differentiation, the diversity of our client base, and the calibre of our partners. For many years we have been the digital heart of a diverse range of financial services providers including Generali Worldwide, HRG, Ikano Retail Finance, Lloyds Banking Group, MotoNovo Finance, Think Money Group and Toyota Financial Services. White Clarke Group is a global leader in software solutions and consultancy to the automotive finance sector – Retail, Fleet, Wholesale. It is a worldwide organization employing around 500 professionals, with offices in the UK, USA, Canada, Australia, China, Austria and Germany. The company’s CALMS end-to-end platform provides a flexible workflow approach that automates the entire business process from origination through contract to portfolio management. CALMS helps finance companies around the globe to drive down costs, improve efficiencies and boost profits. Clients include names like: FGA Capital, Ford Financial, GM Financial, LeasePlan. Chrysalis Loyalty is a leading global provider of loyalty solutions to manufacturers, finance companies and retailers in the automotive industry. We serve 9 brands and more than 2,500 retailers in 12 countries around the world. We also provide powerful forecasting and planning tools that assist in the optimal use of tactical incentives, and a range of complementary services including training, consultancy, portfolio analysis and an outbound call centre. iVendi is arguably the world leader in online motor finance technology, connected to more than 7,000 dealers, generating more than 90bn automatic finance quotations every day, and providing individual quotations on more than 250,000 cars, vans and motorbikes every month. We work closely with leading finance providers to make it easier to sell and finance new and used vehicles online, increasing the penetration of all motor finance products by putting the customer in control of the entire process, as well as directly aiding compliance. To find out more visit ivendi.com, e-mail enquiries@ivendi.com or call 0345 226 0503. KPMG’s dedicated global Automotive team supports all aspects of the automotive value chain. KPMG’s global Automotive sector works with many of the largest and most successful automotive companies in the world. Everything relevant to Automotive Financial Services, including Captive and Non-Captive business, is centrally pooled in KPMG’s Global Captive Steering Group. KPMG´s Global Captive Steering Group includes global experts and leading industry professionals with longstanding experience in Automotive Financial Services. Their international mindsets particularly facilitate smooth global communication and cross-border cooperations. The seamlessly networked Automotive sector and Global Captive Steering Group make KPMG a partner of choice in the fields of Automotive Financial Services Consulting, Audit and Tax. NETSOL Technologies (NASDAQ:NTWK) is a worldwide provider of IT solutions, serving the asset finance and leasing industry worldwide. With local support and delivery centres in 8 cities around the world, our team of 1500+ experts ensures that our clients benefit from the deep industry insight we have developed over the course of 4 decades. Having rapidly expanded to several locations across the globe and providing superior technology solutions to the biggest names in the leasing and finance industry, NETSOL has an ethos of excellence and innovation through constantly devoting time and resources to a well-rounded team of skilled and experienced professionals. Our aim is to give our customers new business opportunities and competitive advantages by combining cost efficient portfolio management with state-of-the-art software to support your operation. Our solutions and services are used by world leading banks and asset-based financial services providers. With over 3500 experts and one of the deepest, broadest portfolios of software and services, Sopra Banking Software is a trusted, long-term partner of over 800 banks in more than 70 countries. Sopra Banking has an unequalled ability to address the requirements for banks and financial institutions of any size and scope, allowing them to innovate and expand their services. Our DNA? – In-depth knowledge of the banking industry, banking customers, and innovative technologies. This triple focus enables us to build powerful and agile software solutions and to implement them through value-added use cases. Understanding Customer expectations is our source of inspiration. Sopra Banking is a subsidiary of the Sopra Steria Group, a world leader in digital transformation, with more than 39,000 employees. Billing Finance is a family-run finance company that has been putting customers first since 1983. Offering near-prime vehicle finance in the whole of the UK, we’re a close-knit team that understands the financial process from the customer’s point of view. We were delighted to win the Motor Finance Sub-Prime lender of the year 2017. Visit www.billingfinance.co.uk for more information. Codeweavers is a highly innovative software specialist, which has established a strong reputation for its ground-breaking finance technology over the last 15 years. The business’ hybrid development ethos combines; collaborative market-led insight; emerging and best practices from other omnichannel markets, a deep appreciation of regulatory requirements, with an on-time and on budget agile ‘extreme programming’ development framework. The agility and quality of the solutions provided by Codeweavers have helped to build very strong relationships with some high profile customers such as BMW, MINI, Peugeot, Citroen, Toyota, Lexus, Honda, Suzuki, Close Brothers, Alphabet UK and Auto Trader. Codeweavers also support in excess of 5,500 dealers. Codeweavers handle over 44,000 proposals and 32 billion calculations per month. MotoNovo Finance is one of the leading independent finance companies in the UK. 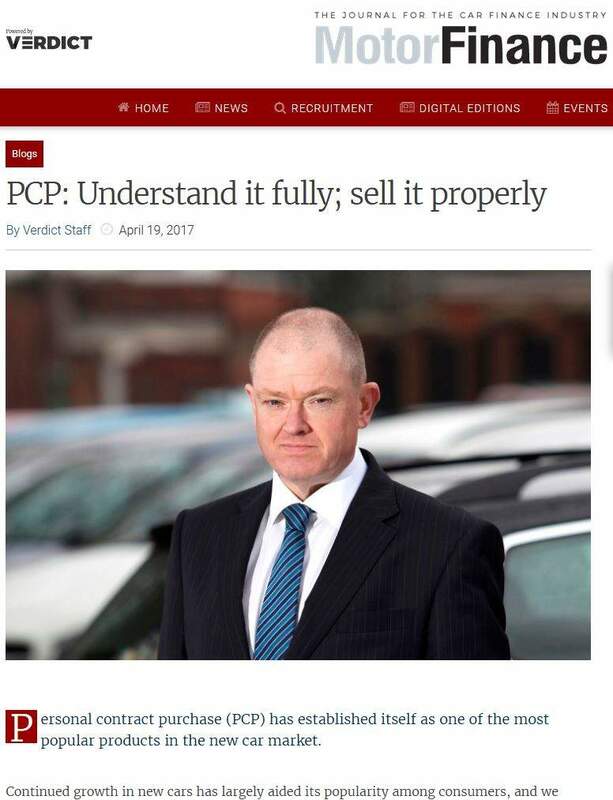 The multi award-winning business has established a strong reputation for leading innovation and change in the UK motor finance sector. Already in 2018, the business has launched MotoNovo Commercial, a dedicated Commercial and SME business operation, and findandfundmycar.com a ground-breaking collaboration with car dealers designed to re-define the car buying & financing process. MotoNovo Finance’s Commercial and SME business is led by Luke Curtis who will be a panel member at this year’s Motor Finance Europe Conference. International leasing companies, captives and mobility providers rely on our extensive experience in the leasing industry to manage their contracts more efficiently and to meet and exceed their customers’ expectations. Our focus on continuous innovation allows our customers and us to jointly and successfully face the challenges of the rapidly evolving automotive leasing and mobility industry. Customers in more than 20 countries are supported by our expert staff based at our offices in Gent, Utrecht, Avignon, Sydney and Tokyo. Our growth strategy combined with our innovation focus allows us to enter new markets and meet our ambitious growth targets. Blue are a UK based motor finance lender, offering best-in-class service and one stop shop for all credit profiles. This is enabled by a focus on technological innovation, risk management and the highest standards of regulatory compliance. Hence we believe that we can facilitate more sales than other motor finance companies. We work hard to constantly improve our service and technology. With innovative E-docs and a full online process with automated rate for risk , including daily settlement of advances and commission, we provide the edge that turns enquiries into sales. Moneybarn has a 23 year legacy of providing vehicle finance and is the UK’s leading lender in the sub-prime market. In 2014, Moneybarn joined the Provident Financial Group, the UK’s leading suppliers of personal credit products in the non-standard market and a FTSE 100 company. Providing finance products that allow their customers to choose a vehicle of their choice, Moneybarn work in partnership with a network of introducers to help those who may have been refused credit by mainstream lenders. By putting the needs of customers first, Moneybarn was awarded ‘Sub-Prime Lender of the Year’ in 2016. Shoosmiths LLP is a major national UK law firm with over 140 partners (and equivalents) and more than 1,400 personnel at 10 different locations across the UK (including Scotland).Clients include household name blue chip companies, leading financial institutions and foreign-owned corporates. We have been ranked as a top firm in recent years’ Legal Week Client Satisfaction Reports and are listed in the Financial Times top 50 Innovative Lawyers in Europe. We were also named Best Legal Employer in Legal Week’s 2015 survey. We are recognised as a leading advisor in the automotive sector in the UK for financial services, recoveries and commercial contracts amongst others. Vauxhall Finance is the captive finance company of Vauxhall and supports the brand, their dealers and customers in the UK. Our first office opened in London in 1920. Since then, our organisation has continuously developed a diversified portfolio of automotive finance products and services for Vauxhall, putting the customer in the centre of everything we do. Our success is driven by strong, lasting relationships with our dealers and the customers we serve. We offer attractive retail loan and lease programs as well as wholesale finance solutions for dealers, helping them to finance and to grow their businesses. The association of banks and leasing companies of the automotive industry („Banken der Automobilwirtschaft, BDA”) is the umbrella organisation of the eleven manufacturer-linked (captive) financial service providers within the automobile industry in Germany. The association acts as a joint platform and helps placing the captive financial services in the public eye. Representing a total of 34 automobile brands the BDA members are a major driving force of the key segment “mobility” in the German economy. Member institutions are BMW Bank, FCA Bank Deutschland, Ford Bank, Opel Bank, Honda Bank, Hyundai Capital Bank Europe, Mercedes-Benz Bank, MKG Bank, RCI Banque, Toyota Financial Services and Volkswagen Financial Services. As with all of our events, Motor Finance: Europe 2018 is CPD certified, allowing you to earn up to 7 points towards your professional development and helping you and your organisation to keep skills and knowledge up to date. The 4th Motor Finance Europe Awards 2018 took place on 26th April at the Adlon Kempinski, Berlin. Please see the Winners on the tap above. Development of the business, e.g. new financial products and growth in volumes in 2017 compared to 2016. This award is for a consultancy advisory firm that has stood out amongst its peers in taking a unique approach to the business, offering specific insight on the industry and pioneered motor finance as a key market in the past year. How individual client needs are taken into account. Evidence of strategic progress over the past 12 months. Entrants must make clear what the specific digital innovation of the past 12 months is. An explanation and evidence of how the innovation improves the customer experience or improves the environmental impact of fleets. How does this innovation improve the lives of fleet managers, drivers or both? Evidence must be provided on how the innovation improves the customer experience. The bigger the impact on the customer journey, the better. How does this specific innovation change the sale of finance, or the management of customers, for the better? Evidence must be provided on how the innovation has improved either an existing finance proposition or been key to the development of a new proposition entirely. How is this innovation different from what has come before? The specifics of how the product works, and what makes this different from what else is out there? Why a customer would choose this product over an alternative, and how they benefit from it. Motor finance is famously an industry of experienced heads who know their industry like the back of their hands. This can make standing out a difficult task for newer members of the industry, and this award looks to help highlight the work of someone under the age of 35. The winner does not need to have yet risen to a senior job, but will need to be someone who can evidence the positive impact they have had on the motor finance industry. This award will go to an individual who has helped to develop and enhance the reputation or the economic role of the motor finance industry over the past 12 months. This award will go to an individual who has helped to build and shape the motor finance industry over the course of their course of their career. They will have taken strategic leadership roles within a company or companies, and steered them to greater success, mentored colleagues through challenges and be a top influencer in the industry. The Lifetime Achievement is, above all else, a recognition of a career which has shown experience, talent and commitment to motor finance. This award will be given to an individual or company at the Editors discretion. The winner will be someone or thing the editor feels deserves recognition for past or recent achievements and contributions to the industry, regardless of whether they work/are a lender, broker, consultant, provider or beyond. Dr Peter Renkel, Managing Director, BDA.